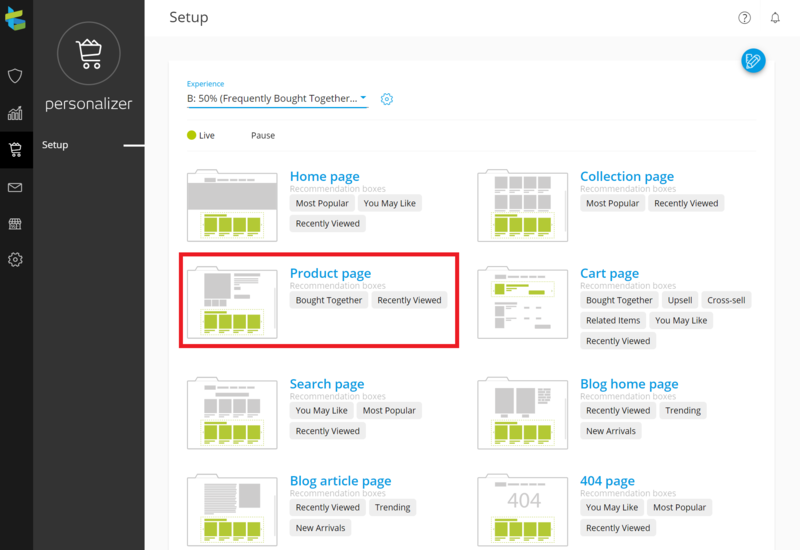 How to use the A/B Testing feature? LimeSpot Personalizer offers an advanced A/B Testing feature to facilitate which setup and combination of our recommendation boxes works best for your store. Using the A/B Testing feature gives you, the store owner, the ability to create and run multiple Experiences and monitor the results using the LimeSpot Analytics to find out which experience works better in your live stores. If Experience A has a weight of 100 and Experience B has a weight of 200. This means that Experience A will have 33.3% odds that the visitors will get this experience and Experience B has 66.7% odds that the visitors will get this. A/B Testing is very valuable so that you have data that backs up the result on what works best for your store with Personalizer. Once you know what you would like to test and how much weights each would have, go to your LimeSpot Admin Panel > Personalizer > Setup. You will see a drop-down above the setup called "Experience". 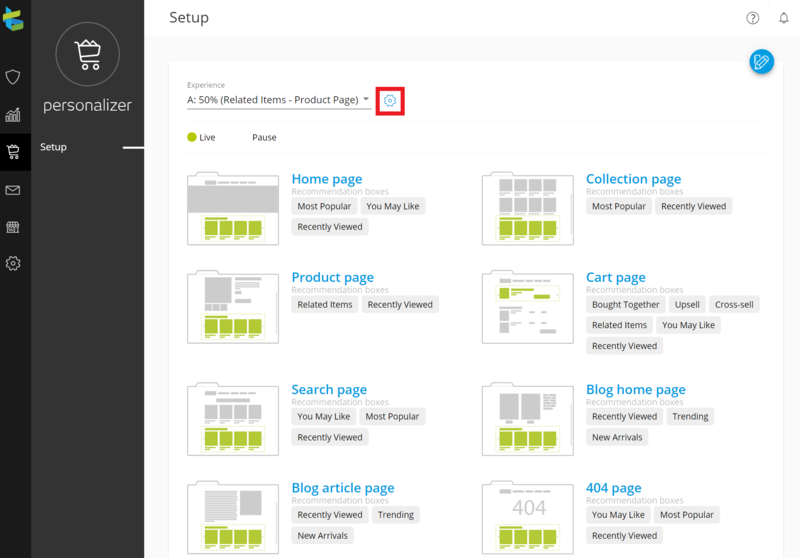 Click the Settings icon beside the drop-down. 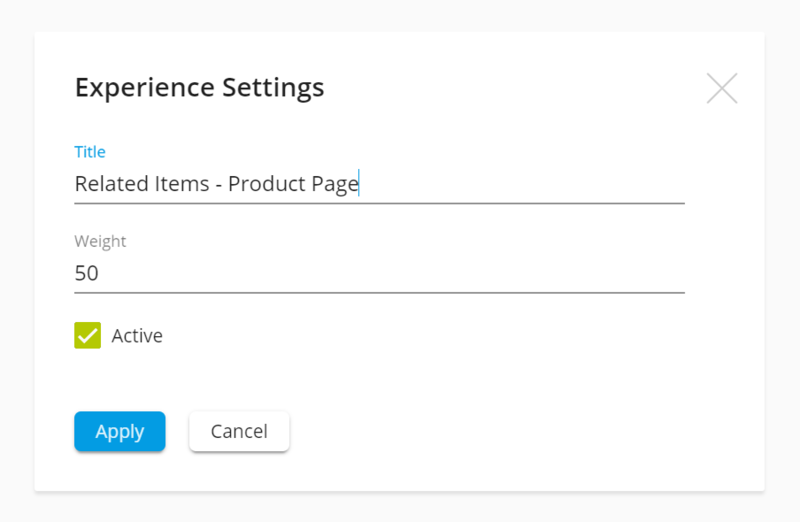 In the Experience Settings, put a title for each experience and the weight for each and check 'Active' once you are ready to start the A/B Test. Click on 'Apply' to save the changes. Once you have created the new Experience, go back to Setup and you will see the drop-down has both of the Experiences. From now on, each Experience has its own independent setup. Do not forget to Publish the changes in each experience. 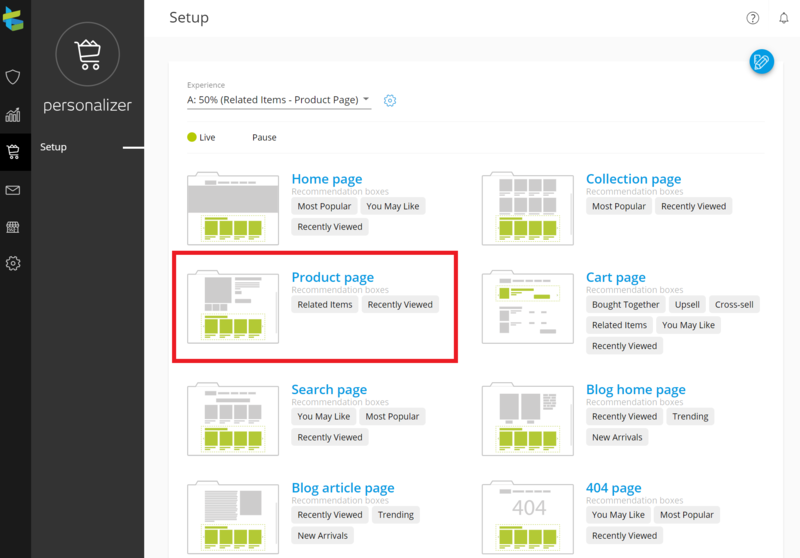 Once you have Published and Activated the Experiences, it will start running on your live store.